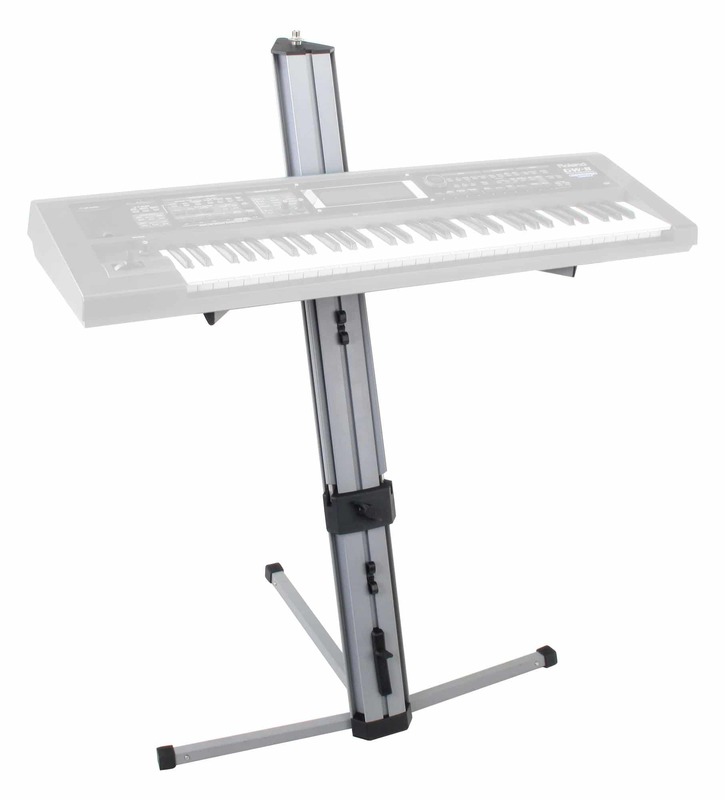 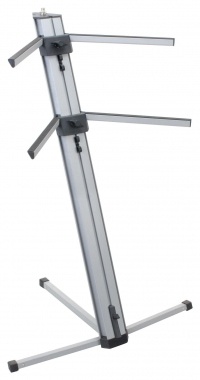 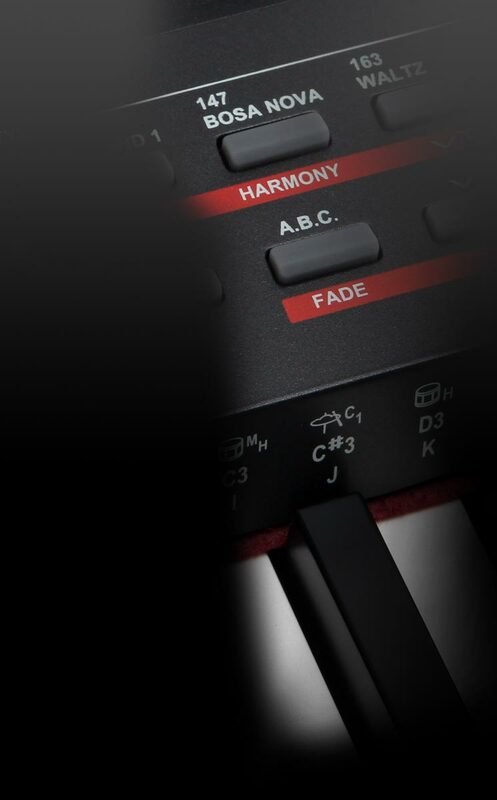 The Classic Cantabile KS-100 keyboard stand for one or two keyboards is not only an eye-catcher on the stage, but its compact design and thoughtful details are also extremely practical. 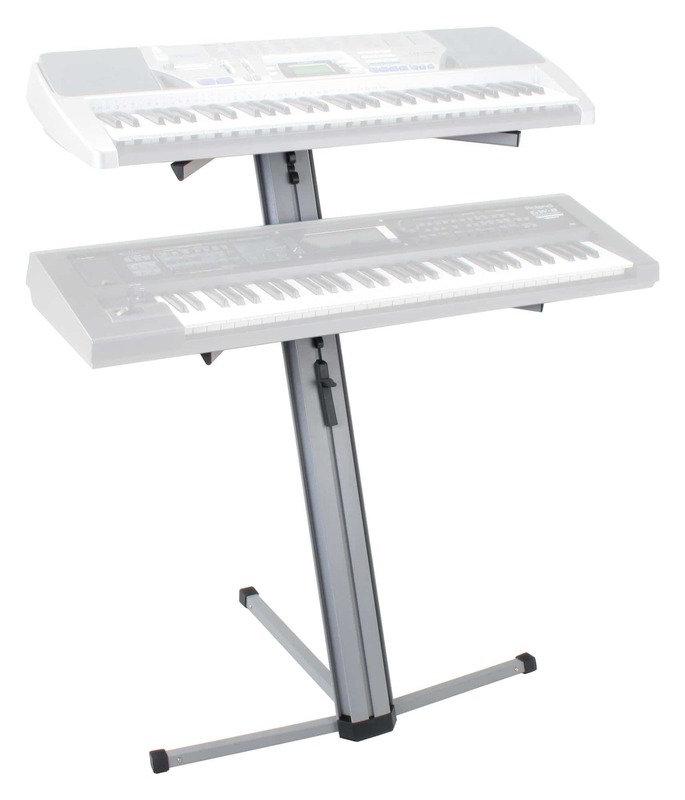 The feet and pads can be folded in the center column and the entire keyboard stand can be safely and gently carried in the optional carrying bag. 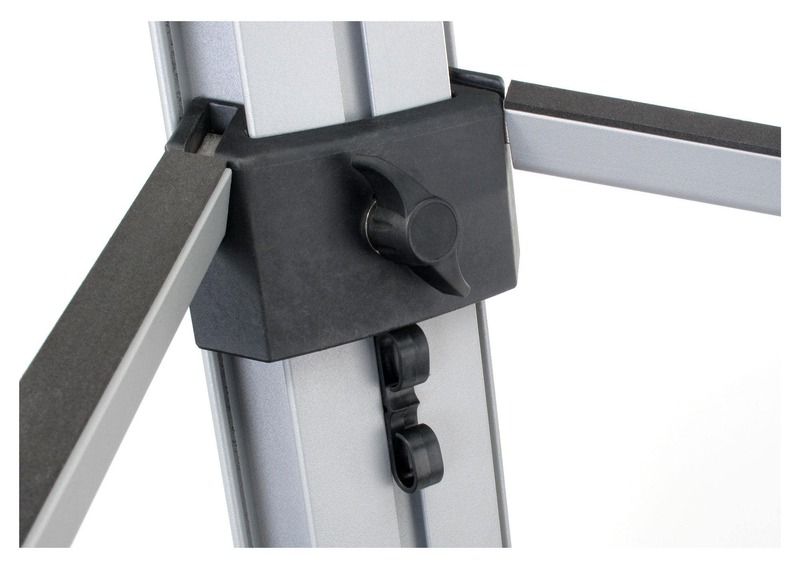 Foam rubber pads on the support arms ensure a non-slip and gentle hold of the instrument. 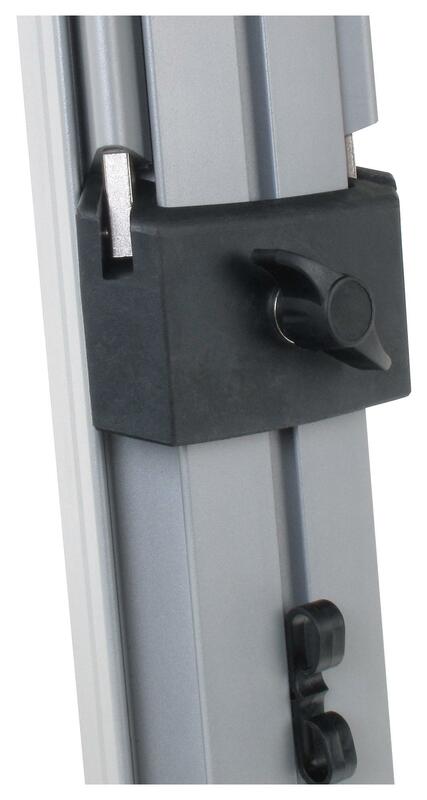 For use as single-stand the unused pads can be discreetly folded into the center column. 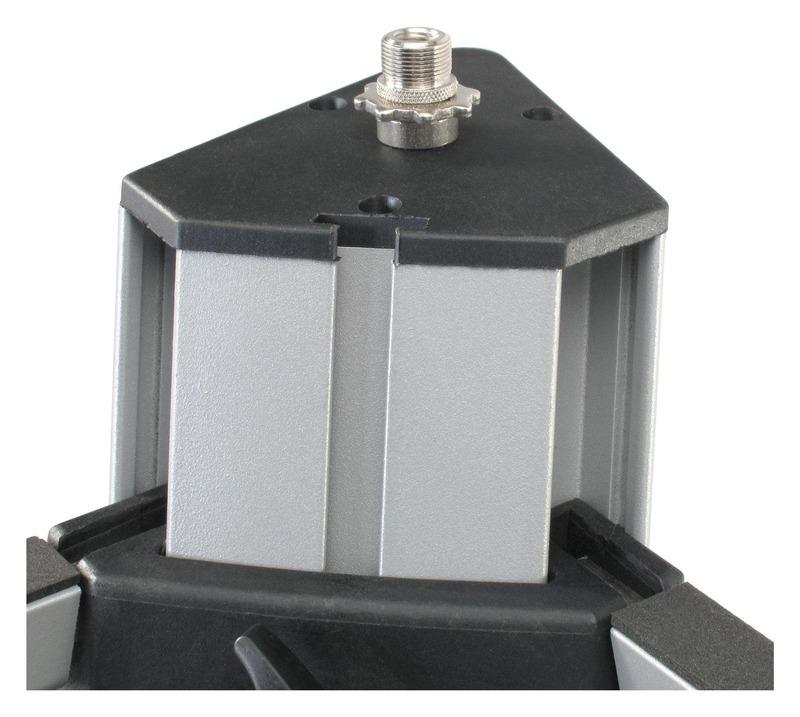 A head plate with connection for a microphone is available.